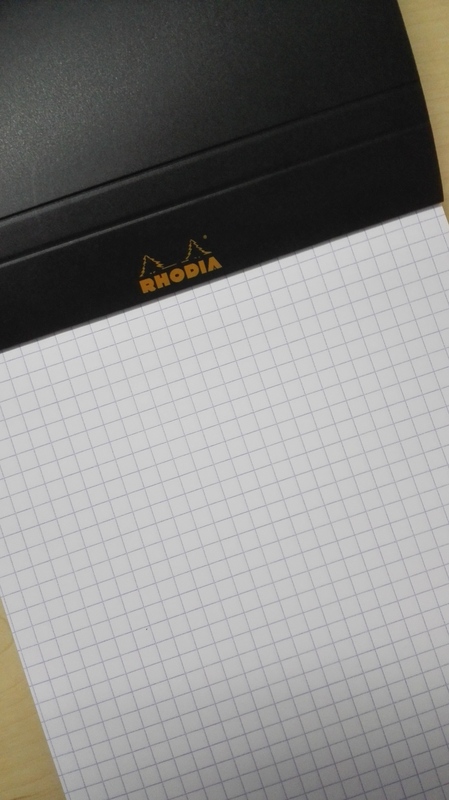 Rhodia has become available in South Africa! Whoop:) Whoop:) (don’t judge my happiness). 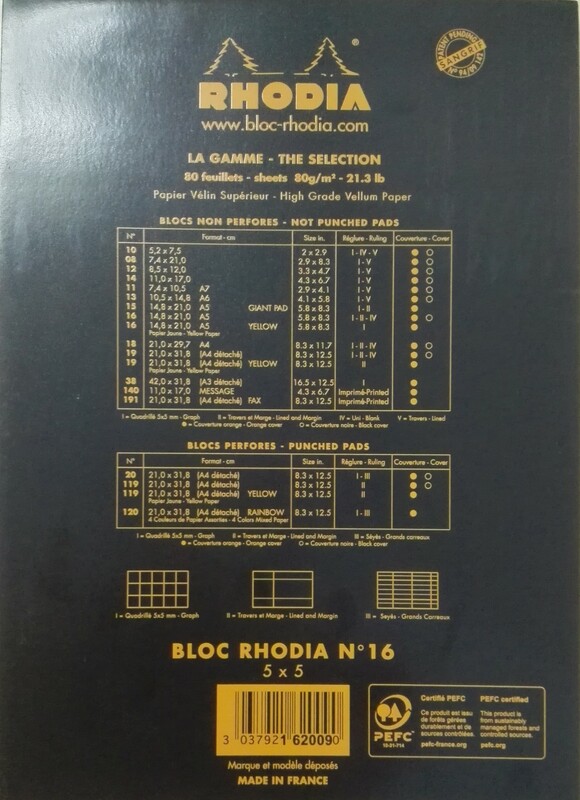 If you’ve ever found yourself on the the FPN you know about Rhodia paper, there is no way around it. 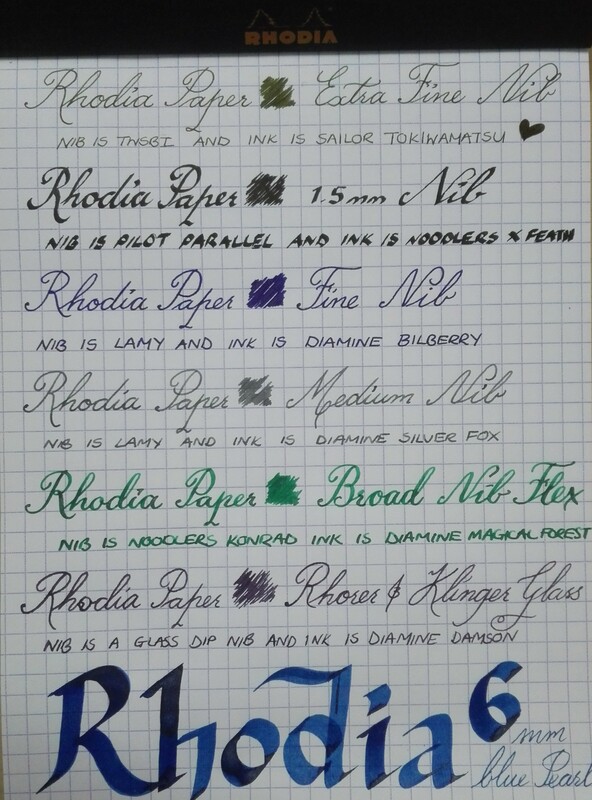 Rhodia, Clairefontaine and Tomoe River are constantly discussed, and I have yet to come across a single post, that I was reading – where the paper quality doesn’t come up. Yes i’m sure that there are posts that may not mention paper at all, I just haven’t come across one yet. But I digress. The Rhodia pad i have follows a standard pad format, but the front and back is covered by a cover that is thicker offering slightly better protection and feels like a plastic/paper hybrid. The front also has three scored lines that give you the option of preserving some header space should you so desire. 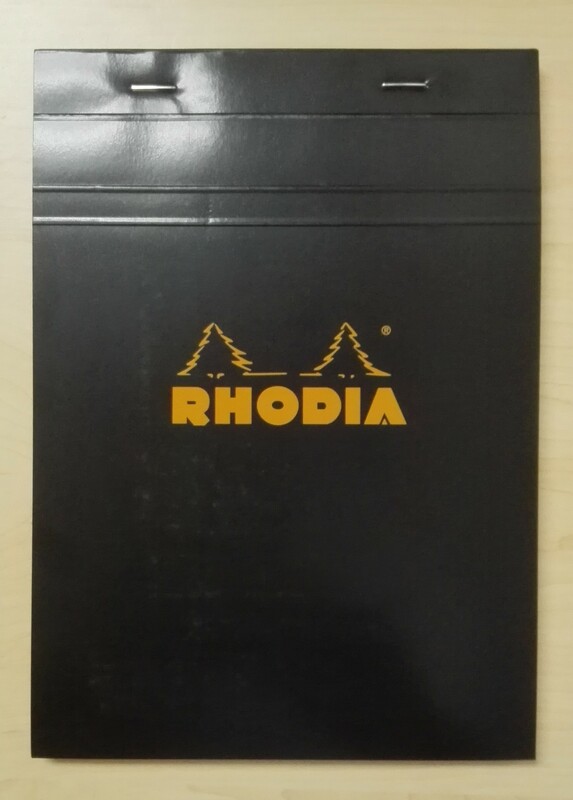 Although it could just be there for decoration… It has the Rhodia logo on the front, while the back gives you information about the paper, and an overview of their other paper sizes, colours and formats available. So in this case its: 80gsm paper, 80 sheets of paper, graph format, N16/A5/14.8cm x 21cm, white paper, black cover and lastly made in France. The paper is divided into 5mm blocks without any margin lines, and perforated at the top. No margins is going to be subjective preference but I like it. I sometimes find margins to be a waste of space, and this allows me to customize my margin size. The colour of the graph is lilac, instead of the traditional blue that we see here, but the intensity is about the same. The paper is easily one of the best I have tried. Its just so smooth – it writes kind of how Moleskine feels to the touch, if that makes any sense? My understanding is that its coated, so the dry time is a touch longer then normal. The way I decided to demonstrate this paper was to write in both cursive and print using different inks and nibs, I though that this would test the paper quality best. TWSBI EF Nib and Sailor – this ink still showed sheen and slight colour change, pretty awesome considering the thinness of the nib! Lamy F Nib and Diamine Bilberry – Also had some gunmetal coloured sheen. Pilot Parellel 6mm and Diamine Blue Pearl – The sheen, the shading, the shimmer its all just so pretty. And this is the other side of the page, not a drop of bleed-through, no show-through and only very light ghosting. 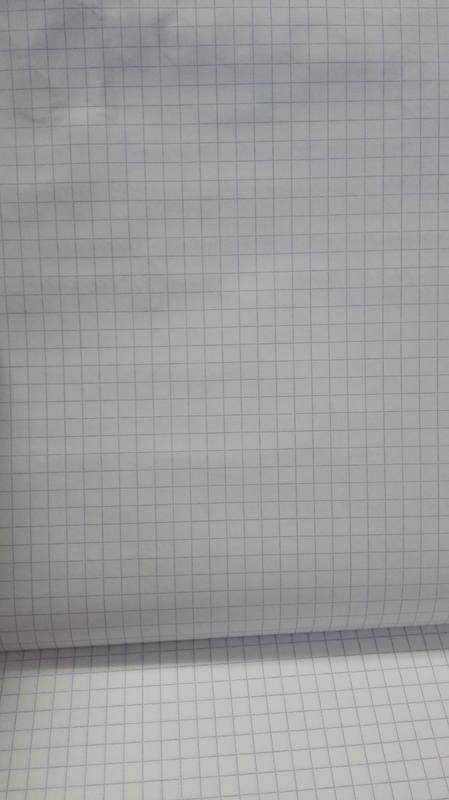 I’ll be honest, I was not expecting the other side of this paper to be completely usable.